Grown-ish, one of Freeform channel’s popular television shows, is the spin-off from ABC’s hit show Black-ish. 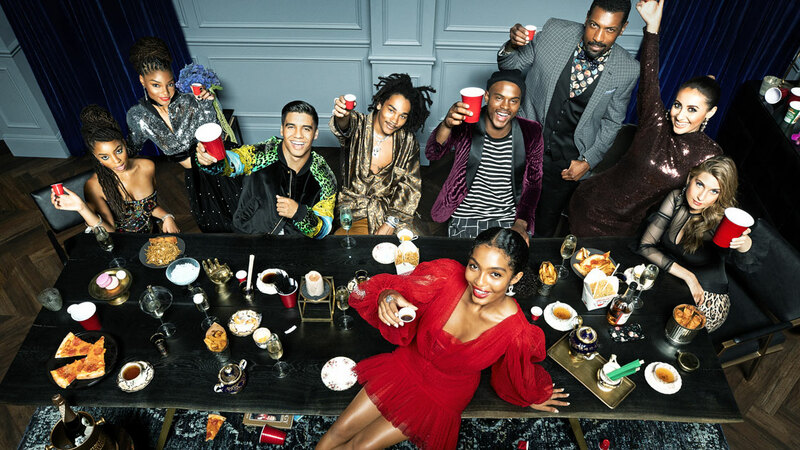 It mainly follows the life of one of the Johnson kids, Zoey Johnson, as she navigates college and all the fun and stress that comes with it—assignments, partying, friends, scandals, etc.—you know, what it means to be “grown-ish.” While Zoey is the show’s central focus and viewers experience life through her perspective, there is also an ensemble cast of characters. None of them seem like particularly “bookish” people (wouldn’t it be great to get an episode where they go on a bookstore or library excursion? ), but ever wonder what you might find each of them reading? Here are some possibilities! Zoey is the main character (and narrator) for Grown-ish. She is beautiful, fairly popular, and extremely stylish. At first glance, she may appear to be a shallow character (and she certainly has her moments), but she is growing up, little by little—figuring out exactly what her beliefs are, how to deal with her mental health, etc. You would totally find Zoey reading The Misadventures of Awkward Black Girl. 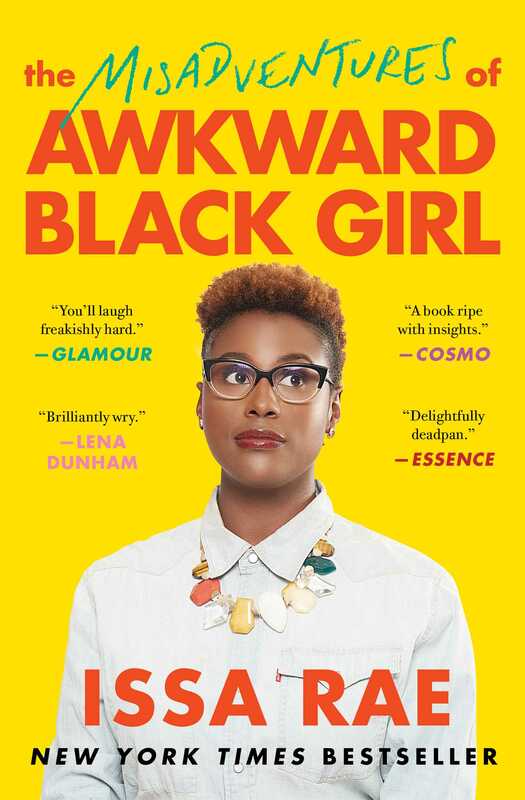 The book is a debut collection of anecdotes from Issa Rae (of HBO’s Insecure) that ranges from topics such as dealing with weight gain comments to learning to accept yourself. Like many people, Zoey would be a fan of Rae’s, the incredibly talented and funny black actress who is becoming a pop culture icon. Rae is fairly young, so Zoey would find her even more relatable and inspirational. Also, she’s sure to find the “self-deprecating and witty” voice in Issa’s New York Times bestselling book super entertaining as well. Aaron is one of Zoey’s friends and fellow Cal U student, though he is a year ahead of the rest of the group. Not only is he an RA but he’s also incredibly pro-black (note: this is not synonymous with being anti-anyone else), constantly talking about and organizing events that highlight racial injustice. Like Zoey, he has his flaws—like falling prey to colorism (prejudice based on skin tone in which those with lighter skin are treated better and seen as more desirable)—but he seems to be working through them. His Black Panther–like attitude is a big reason he would pick up a book like Angie Thomas’s The Hate U Give. The novel follows the story of Starr Carter, a sixteen-year-old girl from the fictional predominantly poor and black neighborhood of Garden Heights, who witnesses the shooting and killing of her (unarmed) black friend Khalil at the hands of a police officer. Not only does she have to deal with the aftermath of such a traumatic event, but she also has to endure rising tensions from all sides, and the pressure to use one of her strongest weapons: her voice. 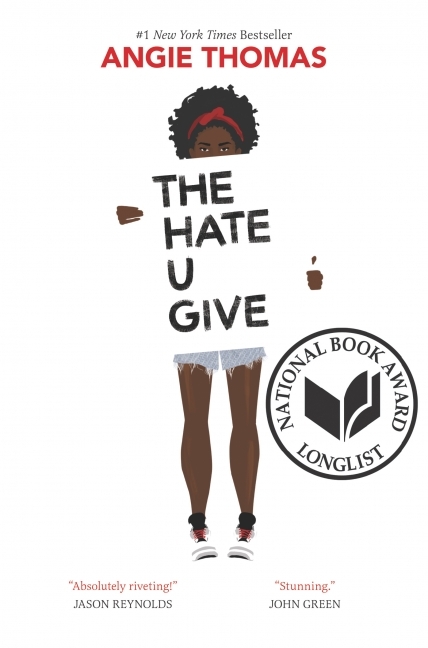 Aaron would no doubt appreciate Angie Thomas for bringing awareness to police brutality, racial bias, etc, and reread this book at least ten times, plus watch the movie at least twelve times (like I’m sure we’ve all done by now). Luca: the highly fashion-minded and incredibly self-assured friend of the group. It’s quite hard to phase or affect him in any (negative) ways, and he’s very much all about good vibes (as well as experimenting with his “out there” fashion choices: he’s widely accepted as a fashion genius). His calm nature offers some balance to the (sometimes super dramatic) personalities of the other members in the gang. Sometimes though, his calm persona can come across as indifferent and uncaring. 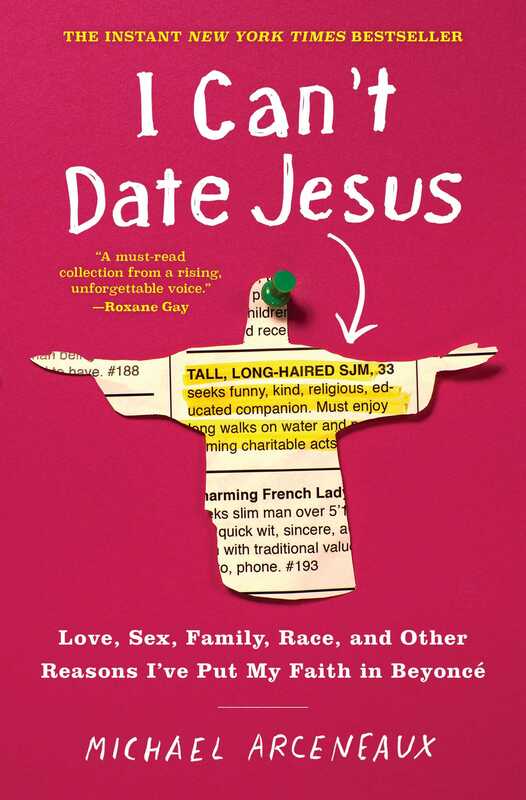 I Can’t Date Jesus by Michael Arceneaux would be a good fit for Luca. It’s a collection of funny and timely essays about the author’s journey into being comfortable with his identity as a “creative, sensitive” black man in America. If those words do not describe Luca, I don’t know what does. Author Michael Arceneaux largely focuses on his sexual identity in these well-written essays; Luca has never attached a label to himself, but this seems like the type of book he would enjoy, regardless of how he identifies. Another core member of the friend group and Cal U student, Nomi is cynical, free-spirited, and sarcastic (in the best ways possible). She is also Jewish and identifies as bisexual. While she does not hide this (or much else about herself) at school, she is still dealing with her own bi-phobia (in the form of discomfort with dating a bisexual man) and figuring out what being part of the LGBTQ+ community means to her. 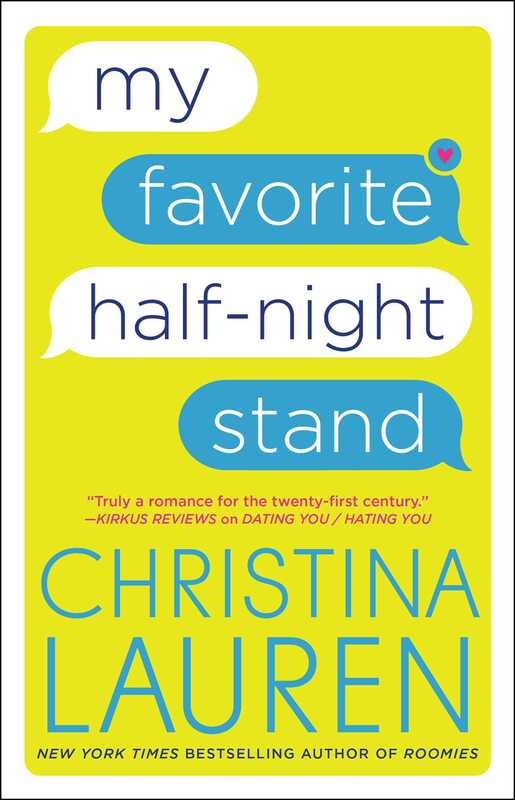 Nomi would likely enjoy reading Christina Lauren’s My Favorite Half-Night Stand. The novel is a contemporary story about Millie Morris, professor and expert on women serial-killers, and what happens after she and her four guy best friends (and fellow professors) make a pact to get dates for an upcoming black-tie gala through online dating. That same night, Millie and one of them, Reid, end up sleeping together but decide that they’re better off as friends. Reid begins to fall for a woman named “Catherine” that he meets online. The catch? “Catherine” is actually Millie, something she expects Reid to figure out right away. The book is a fun and lighthearted read, and Nomi would definitely find Millie to be relatable as she (Millie) uses humor and witty comebacks to avoid emotional intimacy. Sky is one of the twins on the show. While she often doesn’t seem to get as much spotlight as the others, she definitely should not be forgotten as she is a talented track athlete and loyal sister. Sky sometimes falls into her sister’s background, but she is slowly learning to stand up as her own person. 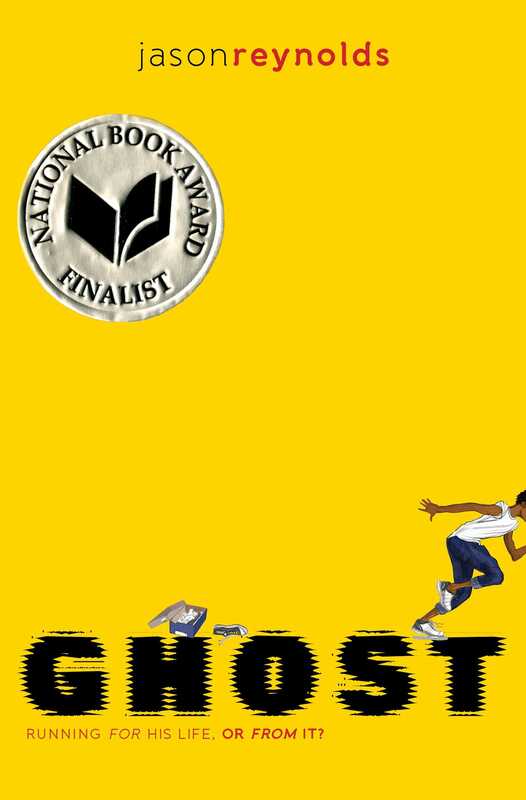 Jason Reynolds’s Ghost would be a satisfying read for Sky beyond the obvious fact that it has a track theme. It tells the story of Castle “Ghost” Cranshaw, a boy in middle school who has a natural talent for running...and causing problems for himself. With the help of Coach, an ex-Olympic medalist, he just might become the best sprinter in town….if he can learn to stay on track (literally and figuratively), that is. While this book is geared toward middle-grade readers (and we all know that you’re never too old to read middle-grade! ), Sky would appreciate and be able to relate to both its track and narrative aspects, as well as to a black main character who doesn’t come from a privileged background. Jazz is the twin sister of Sky and also a talented athlete, as well as strong-willed and tough. She not only tends to know what she wants, but she has no problem making it clear to those around her. One of the important things she’s exploring is what it means to have control of her body and how others consume it. 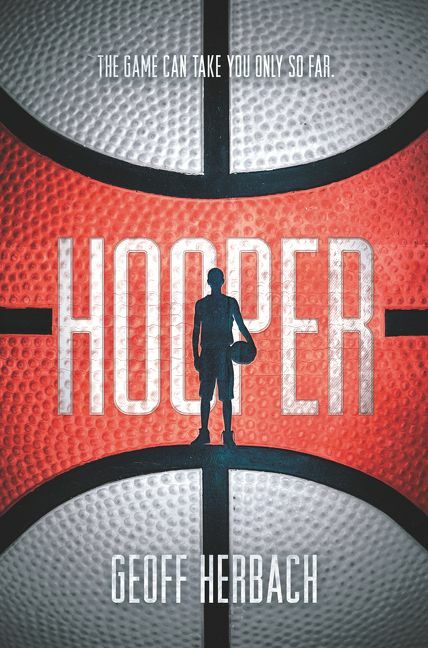 It wouldn’t be all that surprising to find Hooper by Geoff Herbach on Jazz’s shelf or desk. The novel’s main character, Adam Reed, lives and breathes basketball. His skill has even taken him from an orphanage in Poland to a loving and adoptive mother in Minnesota. Basketball seems to be the key to his dream life—complete with dream girl, bright future, and new friends. Unfortunately, though, an incident with the police will force him to choose between a sport that has been everything for him and his new family. Not only would Jazz appreciate that the novel is related to sports (though basketball, in this case, rather than track), she would also value its other themes of family, privilege, and prejudice. Ana is loyal, strong, and a total sweetheart, and politically she is on the more conservative end of the spectrum. What is great about her is that while she is the most politically right-leaning in the group, she remains convicted in her beliefs and doesn’t fall into the stereotype that comes to some people’s minds when they learn that someone is conservative. As the show continues, she gains more confidence in who she is overall while learning what it’s like to have a big friend group. There’s just something about Ana that screams “I’m a romantic,” and that’s part of the reason Eleanor Oliphant Is Completely Fine by Gail Honeyman seems like a book that Ana would enjoy. 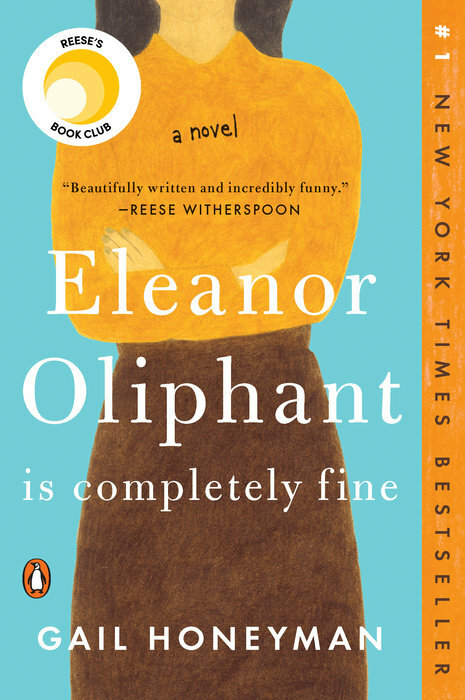 The story is about witty and not-very-social Eleanor Oliphant, who doesn’t think life can get better than just “fine” and is not one to open up easily. However, all that may change when she meets Raymond and realizes that good could come out of opening up her heart. Ana would appreciate this particular book for its seemingly unlikely pairing: its theme of friendship in unexpected places, which includes Sammy, the elderly man that Eleanor and Raymond rescue one day. Vivek is many things: friend, student, scholar...and campus drug dealer. He sells drugs to afford his expensive taste for all (and I do mean all) things designer—clothing, jewelry, alcohol, etc. One of his biggest fears is ending up like his father, a taxi driver. Vivek is often treated like the hilariously “clueless” friend in the group (and at times, he most definitely is). Don’t be fooled by any of this, though, because he is quite an excellent student. 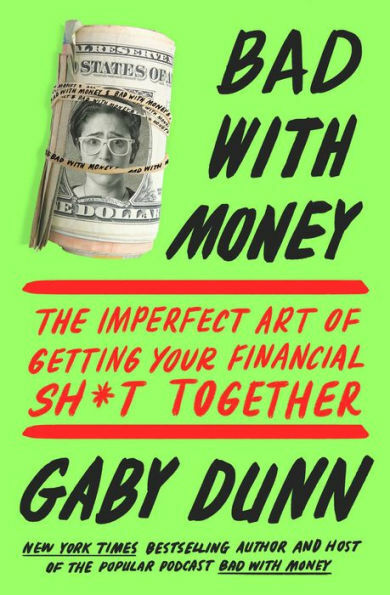 Since Vivek is so money-minded and constantly concerned with being rich, Gaby Dunn’s Bad with Money would be the perfect book for him. This empowering, humorous, and easy-to-grasp read offers very useful advice about topics like choosing a health insurance plan, signing up for a credit card, and more. What makes it even better is that Gaby’s own stories are mixed into the perspectives of different students, artists, comedians, etc. Having money means nothing without strong financial literacy, right, Vivek? Foyinsi Adegbonmire interned on the children’s editorial team of Simon & Schuster’s Books for Young Readers and is studying for her MFA in Creative Writing & Literature from Hofstra University. She adores Young Adult and Middle-Grade fiction—especially fantasy (she can talk world-building forever if you let her), science fiction, and romance. Non-bookish interests include cooking shows, Criminal Minds, philosophy, and sitcoms like Girlfriends, The Big Bang Theory, and Friends.